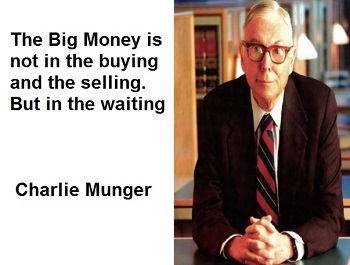 I like Charlie Munger quote. Patience is the key in Value Investing. Emotion is the disaster to begin with. We will need a simple system to know exactly when is a good time to buy what stocks. Listening to market rumors and stock tips from market analysts is a gamble. Check out Charlie Munger Singapore Post.